So I picked up a 3D printer a while back and made some parts for my car as well as just other cool things. I'd like to turn it into a small business, so I'm trying to gauge people's interest in 3D printed parts for the miatas. Let me know your thoughts or concerns. -A full intake, ARC chamber style. It's going through a revision right now to see if I can run it without the DEI gold with this new material. 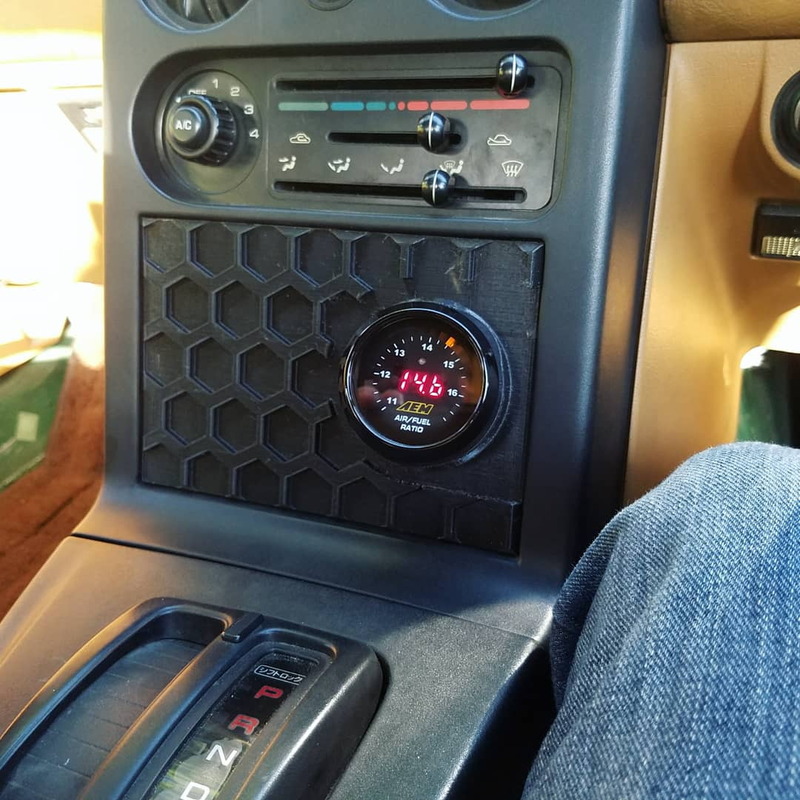 -Radio delete panel, my first iteration was blank, then added some hex pattern for decoration, currently I also have a gauge pod version which I've been running happily for several months. -An antenna delete plug, not sure whether a flush plug that gets silicone'd in place or a two piece screw together part with o-ring would be preferable. -Cup holder, I know one guy makes them where they sit on the side of the trans tunnel, but I'm a big dude and don't have room for that, so I'm thinking the ashtray/change box position. -I've seen eyeball vent replacements as well, some with mounts on them for phones and others. 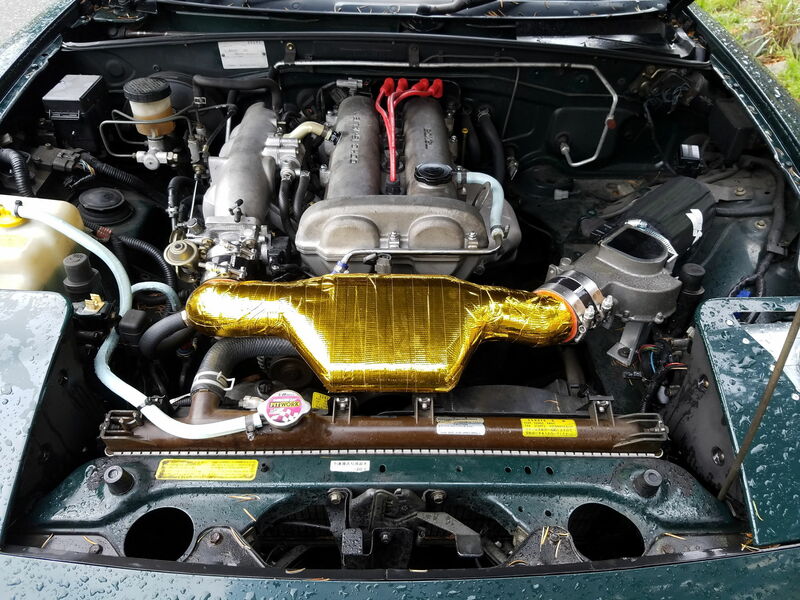 -omgpham made velocity stacks for his ITB setup, and a ECU mounting solution. As far as I'm aware he doesn't sell them or make them for anyone, so I feel ok designing similar products. -I'm ready to start churning out the radio delete panels currently, they can be customized with color, they can come in blank and hex so far, with 1 or 2 gauge pods, the angles on the pods can be adjusted to better fit driver height and sight lines. Currently only have them for the NA since that's the only car I have to prototype on. If somebody in the Seattle area wants to bring me their other cars I'd love to prototype new parts and expand my offerings (even outside miatas). They would start at $15 for flat, $20 for gauges, plus shipping and add a couple bucks here or there depending on modifications. -both antenna plugs and visor deletes would run about $10-12 shipped. -Cup holder would probably be ~$20 plus shipping, it depends on which flat rate box it'll fit in, might be able to get that lower. 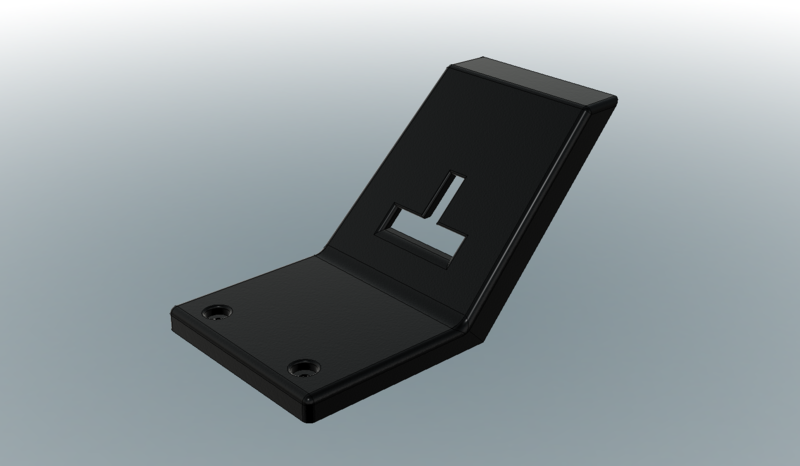 -I'd have to get in touch with SadFab about the TPS brackets, I feel like even if I designed it independently they would be so similar, and I'm already aware of their product, so I'm not trying to copyright infringe anyone. -It'd be pretty cool to do the velocity stacks and ECU mount. I'll design the ECU mount when I get mine in a couple weeks, probably a dash bar mount, which could be modified to fit cages and whatnot. Maybe some cable management built in. Probably run about $40-50 plus shipping. Velocity stacks would be a custom per person endeavor, probably ballpark $100-150 for design and printing, I'd need to pick up some nylon or Ultem for those to perform well. I do other work too, so if you have an idea for something you need designed and printed, let me know. I'd love to get feedback on these ideas and see what people need and are interested in. Cool. Probably need to be a vendor. But cool. Six, Should I apply for that? How does that work? Not trying to step on any toes. 3DP is cool, but has limitations. Have been testing a dozen parts/projects on my car so far, some work, some don't. Especially with engine/intake parts pay attention to temp, creep, and the fact that if something fails, it may cost you a motor. Already got you covered for that, albeit molded from 3DP parts. Still tweaking minor details, as I need them to be perfect. Harry, Just a matter of materials testing and knowing what certain filaments can and can't do. Plastic 3d printing will never replace turbos or engine blocks, even with exotic materials, but SLM printing has already done both. Nylons are comparable to the thermoplastics found in most OEM plastic parts as far as temperature resistance, but stronger. Bonez, I'll have a design by tonight, prototype by tomorrow. Should be finished tweaking by the end of the week hopefully. Would anyone want "gas" and "trunk" on them? Pretty easy to add text as an option. Printer is occupied with some gauge pods, so I'll start it tomorrow morning, probably be finished Wednesday morning, and I'll tweak and update. Can someone shoot me a picture of their levers? The jet stream part shows them the same length, but mine are 2 different lengths. Shouldn't impact function, just curious on differences. I also have a stripped interior, so no carpet, so I'm ballparking how tall the sides need to be, again, shouldn't effect function. If anyone in the north seattle area wants one and is willing to meet up for me to check out their setup, I'll do a discount on one. No need for labels imo - they're on the levers themselves. The jetstream one is for an NB which is probably why it looks different to yours. No idea if the tunnel / rear shelf wall / lever positioning etc is the same between NAs and NBs. I imagine they're pretty close though. Alti, cool, I'll start working on a design for it. FFS, just print a new top tank for that radiator, before bad things happen. OK, so that may not be a good solution, but one way or another you need to replace that radiator soon, very soon. Buy my things and maybe I'll have enough money to replace it. FWIW, it's been the same color since before it even got to the states. I'd also need a separate trans cooler. The only concern I have is this. The Honda Insight community attempted stuff like this in the past. It worked great for those who lived in canada/uk where the temp never gets above 90F. However for those of us, like me, who live in hot climates (I live in socal where it gets to 120F+ (49(C)ommunist units) all the 3d printed parts just melted. 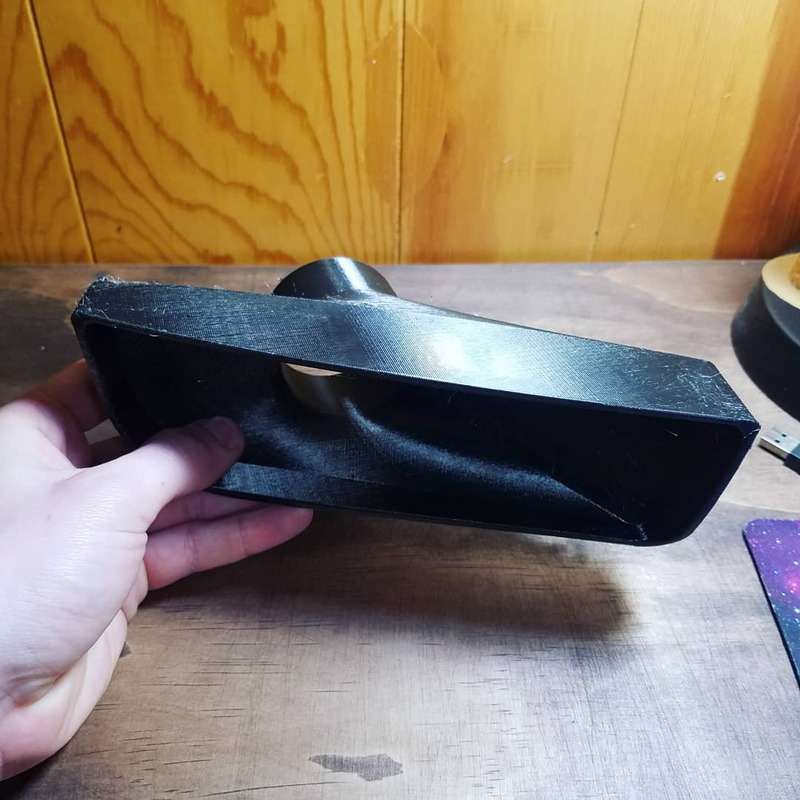 Does the 3d print plastic you have capable of withstanding 160F+ in direct sunlight for 8+ hours without warping? PLA will die. Nylon and ABS should be fine. stinky stuff. Yep, what Ryan said. You just need to take a look at the glass transition temps. The thermoplastics used in 3D printing sort of have two melting points if you will. The first and lower is the glass transition temperature, this is where the structure of the bonds between the atoms degrades slightly, and the plastic acts like an amorphous solid, if there is stress applied at this point, the material will deform, warp, etc. The initial PLA intake I was running did this over time. The second temp is the actual melting temp, which if you reached, your car would be on fire, its around 190-200*C for PLA, 230-250*C for PETG, 250*C ish for Nylon and ABS. PLA: 60*C, PETG: 85*C, ABS 110*C, Nylon is dependent on the constituent mix and ratios, but it ballparks around ABS range. I print almost exclusively in PETG just because I like the characteristics better and it handles pretty much everything you'd encounter, you get nice finished surfaces right off the printer, and there's no warping or heat sensitivity while printing. But, I'm going to be branching out into Nylon if people have the need for it. There are already lots of antenna delete plugs, 3d plastic, rubber, billet aluminum screw type and push in steel plugs. I would focus on new ideas, since there are others out there making lots of little parts line visor deletes/go pro mount, radio, "delete stuff" is popular. I would be interested in 3d printed wing window plates to mount ralley type mirrors, or even apr cf mirrors. Also, hvac vent blanking plugs to mount a gauge, or switches ect, or just for a clean look if hvac is removed. Flat blanking plugs for the fog light/cruise buttons to allow switch mounting or the "clean look". Glove box "delete panel", basically a lightweight cover that rids of the heavy(nb) box. A 3d printed nb battery cover/panel to cover the battery so nothing falls down in the battery well, or shorts out your + connection(assuming you ditch the oem trunk liner). I'd be genuinely interested in the rear trunk latch cover. Brainz, I'm starting with the basics, but I could definitely look into some of your design ideas, I'm not sure what you mean about the wing window plates, just the oval mounts that work with the stem type mirrors? I've considered doing mirror shells, the sticking point is the stem, which would have to be made of something else, but all of the other parts could be done fairly easily. For the HVAC blanking plugs, do you mean the HVAC controls, or the HVAC outlets? Either would be fairly straight forward to produce. The button blanks would also be fairly easy to make, I'm working on a radio delete panel with switch mounts currently. I don't have the build volume for a glove box shell, but if this picks up, I'll pick up a CR-10 which should be able to do those. The battery tray/panel would also be pretty straight forward to produce. My biggest sticking point currently for your ideas is that I don't have an NB to prototype on. If someone with an NB could confirm what is the same between the NA and NB, I could prototype on my car, but I think the whole interior was changed. 008, I've got the prototype printing right now. If you were local, I'd be more than willing to give you one if I could prototype on your car. Pretty cool what can be done with a 3d printer but all I could think about is how brown your radiator is..haha.